In 2016 Kengo Kuma & Associates won a competition to design the new Hans Christian Andersen Museum in Odense, Denmark — the birthplace of this famous 19th-century writer, best known for his fairy tales. The project, which will engage all the senses, is due for completion at the end of 2020, the same year that Kengo Kuma’s Olympic Stadium will open in Tokyo. 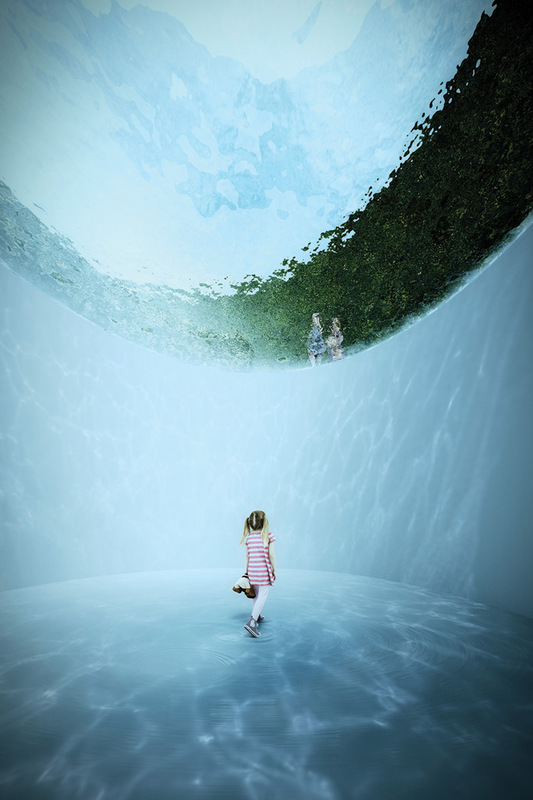 Conceived as a sequence of green cylindrical volumes with facades of latticed timber and glass, the design is woven into what Kuma describes as ‘enchanted’ gardens and is set to create an immersive, wonder-filled experience for visitors. Here, Kuma and Yuki Ikeguchi, partner in charge of the 6,000 sq m project, talk to Blueprint about its development. Kengo Kuma: When I was a child, I was really into the stories by Andersen. It was a kind of excitement I’d never felt in the work of other authors. So I was simply thrilled by the opportunity to do something for my childhood hero. Also, I wanted to use lots of wood and green in the museum, and to tell the children coming there to feel and experience the wonder of nature, as well as the world of Andersen. What was the design concept, and has this changed at all? Yuki Ikeguchi: The museum actually appointed the exhibition designer first, so it was important that the architecture would reflect the exhibition design concept by Event Communications. It was not a simple procedure, as we had to build the boxes and the stories would come in later. I would say that this process of designing ‘inside-out’ and ‘outside-in’ is what makes our design special and challenging at the same time. We planned the exhibition spaces underground in response to the concept that the physical structure of the fairy tale realm should be an enchanted world set within the ‘roots’ of the garden realm. It also made sense to place them below ground because the majority of the spaces will be dark, for the scenographic settings, lightings, projections and sound effects. The aspect of the author and his stories that seemed intriguing to us was the notion of ‘duality’: real and imaginary, natural and manmade, human and animal, light and dark. These opposites co-exist in a complex, ambiguous manner in Andersen’s stories. Our attempt was to reflect this in the architecture and landscape by creating a curvilinear path, descending slowly and weaving the underground world (imaginary) with the world above ground (reality). The green hedges, facade screens, water and other elements were chosen and detailed as filtering devices to achieve these ambiguous spaces. I would say that the concept is still intact, even enhanced during the course of the design development. I do believe that architecture can have an empathy with literature as both are created through the filters of our perceptions and senses. How does the design direct the visitor’s movements? YI: Visitors will approach through the garden. The first exhibition space is the biographical realm. The gentle sloping ramp will take visitors through this before descending to the underground realm of the fairy tale: a transitional experience. The underground world as the fantasy and the above ground as the reality trace each other’s paths and spaces. There are some holes penetrating through the ground, connecting these two worlds. The curvilinear architectural form is designed to blur the direction and boundary of outside and inside. This conceptual approach is what has driven the architectural planning and spatial structure, which will hopefully translate into the visitor’s journey, discovering one fairy tale after another. Are you thinking in terms of all the senses? YI: Yes, and I believe that this is what makes our architecture distinctive. The tactile quality is what we always aim to achieve. 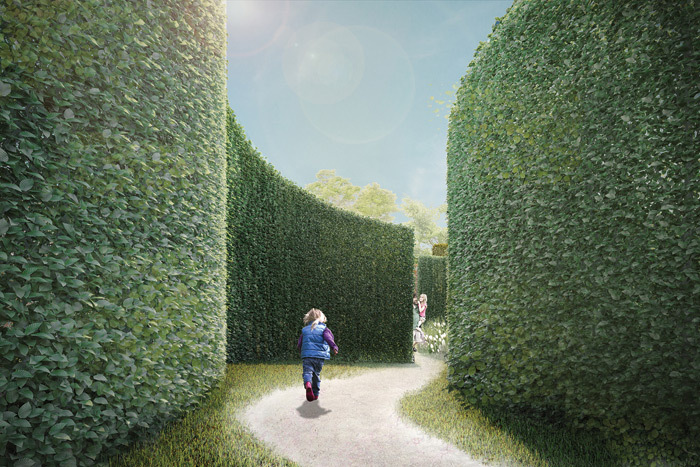 What is extremely interesting is working with natural elements such as leaves and water, to filter natural light, casting shadows, and using green hedges to create open spaces. These are extraordinary materials that appeal to all the senses. KK: People are now coming back to the real life of all the senses. Are there particular technical challenges? YI: It’s always challenging to construct large underground spaces, especially in close proximity to old structures. There are water issues, challenges in excavation and retaining, and so on. But we are managing to design with good solutions and strategies. We are still collaborating with Cornelius Vöge for local support and project management, and MASU for the landscape design, but we are now working with Søren Jensen for engineering.